On his 89th birthday, it’s worth remembering how complicated and controversial Cesar Chavez really was. Cesar Chavez was born 89 years ago today. A labor and civil-rights activist who helped organize agricultural workers in California, Chavez has been rightly lauded for giving a voice to the voiceless and for summoning national support for the workers’ fight against powerful corporate growers. Yet his legacy is more complicated than that. A look through The Nation’s coverage of Chavez over the years—including one piece by Chavez himself—gives a sense of both the odds against which Chavez fought and, too, in one surprising piece from 1977, the limitations of his approach. For most of his 38 years Cesar Chavez, the quiet, intelligent and articulate Mexican-American who leads and inspires the striking grape pickers of the San Joaquin Valley, has been an agricultural worker in California. This means that Chavez, like the 500,000 other agricultural workers in California and uncounted thousands more all over America, has worked for an industry (in California, it is the biggest industry) that pays its workers about one-sixth the yearly income of other industrial workers, that recognizes no minimum wage, that offers no holidays, vacations, sick leave, unemployment insurance or pension plan, that grants no overtime, that regularly violates child labor laws, and that denies the right to bargain collectively…. Son of an Arizona landowner, farmer and rancher, Chavez came to California during the great depression, when his father lost his land. Like so many in that period, the Chavez family became migrant laborers in the Grapes of Wrath pattern. Cesar, his mother and father, his five brothers and sisters, lived in a succession of tents and hovels and trailers, surviving at times on $1.25 a day. “Usually we had shoes,” says Cesar’s brother, Richard, “but there were times—I remember in 1939—that we went to school barefoot.” As for school, the Chavez boys got more than most migrants of their time, they went through the 8th grade, after being in and out of more than thirty-two grade schools in their migrant life. Throughout his life, Chavez has entertained one ambition: to help his people, the Mexican-American agricultural laborers, attain first-class citizenship. Between jobs as an agricultural laborer, he has worked with groups like the Community Service Organization—designed to improve the welfare of the Mexican-American poor—and with social workers such as Saul Alinsky and Fred Ross. Two years ago, Chavez organized the National Farm Workers Association (NFWA), a group which last September, along with the Agricultural Workers Organizing Committee (AWOC)—mainly Filipinos—began the longest agricultural strike in California’s history and perhaps the most important agricultural strike in America’s history. Less than five years later, the Farm Workers had achieved victory: recognition from the California growers as the bargaining representative for agricultural workers. The Nation marked the occasion with an editorial commemorating Labor Day, 1970. Not only has the union won a significant moral victory—by demonstrating the potency of nonviolence at a time when such a demonstration was sorely needed—but it has made a major advance for the labor movement…. Inherent difficulties—seasonal employment, the absence of protective legislation, the migratory nature of much farm work, strenuous employer opposition—have frustrated dozens of attempts to organize farm workers over a period of nearly a century. The key to the grape pickers’ success is to be found in their skillful use of the boycott, which has usually been invoked (and not often successfully) as a means by which a beleaguered union has appealed for fraternal support from members of other unions. UFWOC made a nationwide appeal, not alone to the labor movement but to the general public. The attempt might not have succeeded but for the shrewd leadership of Chavez, financial and other support from organized labor, strong backing from the churches, significant political assistance from a number of Senators (both Kennedys, Mondale, Williams and other), and the fact that the public had been previously, and thoroughly, educated about farm labor in California. A dissenting view appeared in the Nation of November 19, 1977, in an article by the University of Pittsburgh economics professor Michael Yates titled “The Trouble With Chavez.” After volunteering with the Farm Workers, Yates wrote about the serious problems he saw threatening the effectiveness of the union. 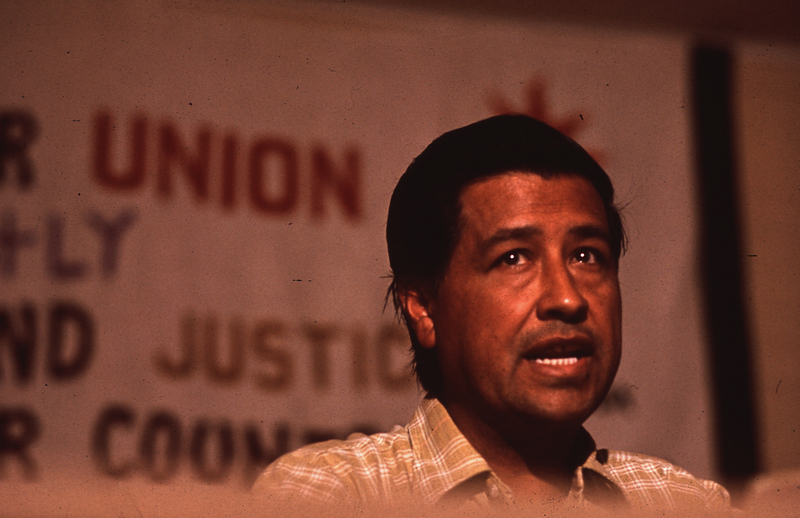 The primary reasons for administrative chaos within the UFW are to be found in the personality and the social philosophy of Cesar Chavez. He is magnetic, autocratic and at bottom more concerned to build a social and political movement than a trade union. Chavez’s dynamic and imaginative leadership has given him nearly absolute control of the union. The UFW constitution allows considerable rank-and-file participation in union affairs, but in fact Chavez’s word is law. Authority is seldom delegated; members of the executive committee are not free to act without his permission. In addition, he has complete control over the volunteers, who comprise the bulk of the union’s organizing, administrative and boycott personnel. These people…are Chavez’s personal retinue. They perform invaluable work for the union, but they also owe allegiance to Chavez. He selected them; he can dismiss them at will and frequently does. Those who criticize him are perceived as threats to himself and to the union (indeed, in his mind there is little separation between the two). In the past year there have been at least two mass firings…. Dedicated, hard-working men and women, essential to the smooth functioning of the union, were accused, on little or no evidence, of being radicals, spies for the employers, troublemakers, complainers. They were told to leave the union, or were pressured into quitting…. Much of the poor administration of the union stems from the climate of unrest that these periodic dismissals create. And they in turn are the direct result of Chavez’s need to have absolute control over the union and the unquestioning loyalty of its members. Since personal loyalty is ultimately more important than ability and independent judgment, it is not uncommon for those of slight talent or maturity to rise to prominent positions in Chavez’s “inner circle”…. I am pessimistic about the future of the UFW and the movement for which it has been a vehicle to date. I fear that at present neither could survive without Chavez; they are too much dominated by his overwhelming personality, much as the United Mine Workers once was dominated by John L. Lewis. And I doubt that mass support can be won for any organization or movement in the United States that is not founded upon participatory democracy and a depersonalized power structure. Needless to say, Cesar Chavez has proven his critics wrong before. I am not eager to be proven right. Cesar Chavez died on April 23, 1993. Three months later, the activist Frank Bardacke wrote a long piece for The Nation titled “Cesar’s Ghost.” It would not have surprised readers who recalled Michael Yates’s piece of 16 years earlier, but coming shortly after the labor leader’s death, Bardacke’s essay stirred up a hornet’s nest of controversy. Bardacke wrote that at Chavez’s funeral in Delano, there were “liberal politicians, celebrities, Catholic priests, grape and lettuce boycotters,” but there didn’t seem to be very many actual farmworkers present. I saw no banners from U.F.W. locals, nor did I see a single button or sign proclaiming the idea of farmworker power. And this, too, was symbolically perfect, for at the time of Cesar Chavez’s death, the U.F.W. was not primarily a farmworker organization. It was a fundraising operation, run out of a deserted tuberculosis sanitarium in the Tehachapi Mountains, far from the fields of famous Delano, staffed by members of Cesar’s extended family and using as its political capital Cesar’s legend and the warm memories of millions of aging boycotters. Another problem, as Michael Yates had pointed out, had to do with the lack of democratic accountability within the union itself. Structurally, the U.F.W. is one of the least democratic unions in the country. Officials in the local field offices are not elected by the workers under contract in those areas, as they are in most other unions. They are appointed by the U.F.W. executive board and were under the direct control of Cesar. This meant that local farmworker leadership had no way of advancing within the union, other than by being personally loyal to Cesar or other high-level officials. Complaints about the union and its practices, although freely discussed among workers on the job, could not influence union policy. Part of the work of building and sustaining any movement lies in looking self-critically at past strategies, decisions, priorities. I have no doubt that in these days such self-evaluations are going on in the U.F.W. But perhaps The Nation might engage in some self-criticism of its own, as a periodical with a virtually all-white masthead…. Why should a journal historically committed to challenging how power and wealth are held devote space…to reinforcing the impression that yet another movement for change has failed due to its own inadequacies?